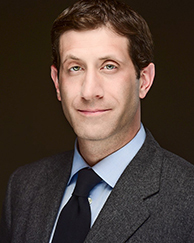 John Paul Rollert's teaching and research focus on the intellectual history of capitalism, the ethics of leadership, and the application of empathy to law, business, and politics. He is also interested in the political economy and moral philosophy of Adam Smith. Rollert has been published in The Business and Society Review, The Journal of Law, Culture and the Humanities, Raritan, Common Knowledge, Critical Inquiry, and the Yale Law Journal Online. In addition to his academic work, he frequently writes on business, law, and politics for a variety of popular publications. He writes the In-House Ethicist for the Chicago Booth Review, and his work has been featured in The New Republic, Harper's, Politico, Bloomberg, The Washington Post, Slate, The Paris Review and The New York Times. For writing featured in The Atlantic, he was recognized by the Society of American Business Editors and Writers in its 2017 “Best in Business” Competition. A graduate of Harvard College, Rollert earned his JD from Yale Law School and a PhD from The John U. Nef Committee on Social Thought at the University of Chicago. Since 2005, he has taught courses at Harvard in ethics, politics, and leadership. "Does the Top Really Support the Bottom? - Adam Smith and the Problem of the Commercial Pyramid," Business and Society Review, Volume 116, Issue 2 (2011).